Earlier this week, Detroit resident Jorge Garcia was deported to Mexico, despite living in the United States for nearly 30 years without a criminal record. According to his family, the 39-year-old landscaper pays taxes, and unsuccessfully attempted to obtain legal status on numerous occasions. He had faced an order of removal from immigration courts since 2009, but was allowed to stay under President Obama's administration. But as a result of President Trump's immigration crackdown, the father of two was deported to a country he hasn't called home since he was the age of 10. Now, one rapper wants to find a way to help Garcia's family during this tumultuous time. Earlier this week, Chamillionaire (real name Hakeem Seriki), who is perhaps best known for his Grammy-winning song, "Ridin," reached out to Niraj Warikoo, who broke the story surrounding Garcia and his deportation (Warikoo tweeted out a screenshot of the email, which has been retweeted nearly 7,000 times at the time of this article's publication). In the email, Chamillionaire asked the Detroit Free Press reporter how he could help the family. In the email, the musician turned tech investor wrote the following, "I recently read your article about Jorge Garcia being departed [sic] to Mexico after 30 years of being in the United States and I'm reaching out to find out if you could possibly connect me with his family? I'm a musician and tech investor and I'm looking to talk to them to see how I can help with financial support in Jorge's absence. It would be great if you could possibly point me in the right direction. Thanks." When asked by Business Insider whether or not it was indeed him that sent the email, Chamillionaire confirmed he did send the email, but stated that he has yet to be put in contact with the family. "(When I sent the email) I assumed this would be a private conversation, and I was hoping that I would be connected to the family, but unfortunately, neither happened," said the 38-year-old. "It looks like the story of this family's unfortunate situation is gaining some traction, so at the least, I'm happy to see their story getting the attention that it deserves." Despite not releasing an project since 2013, Chamillionaire has made a name for himself in the business world. 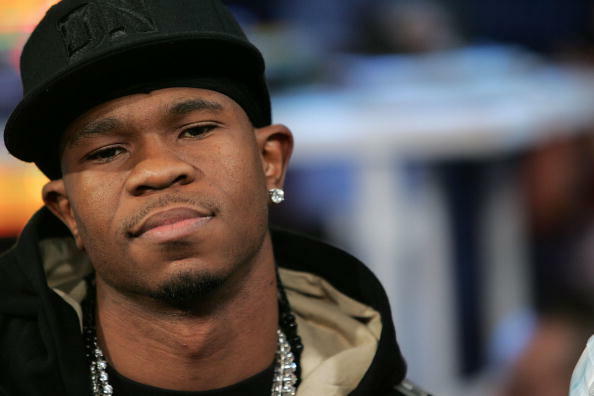 Read more about Chamillionaire's business moves here. Obama's statements on greed and wealth inequality are part of what his biggest public speech he has made since he left office at the beginning of 2017 was about.